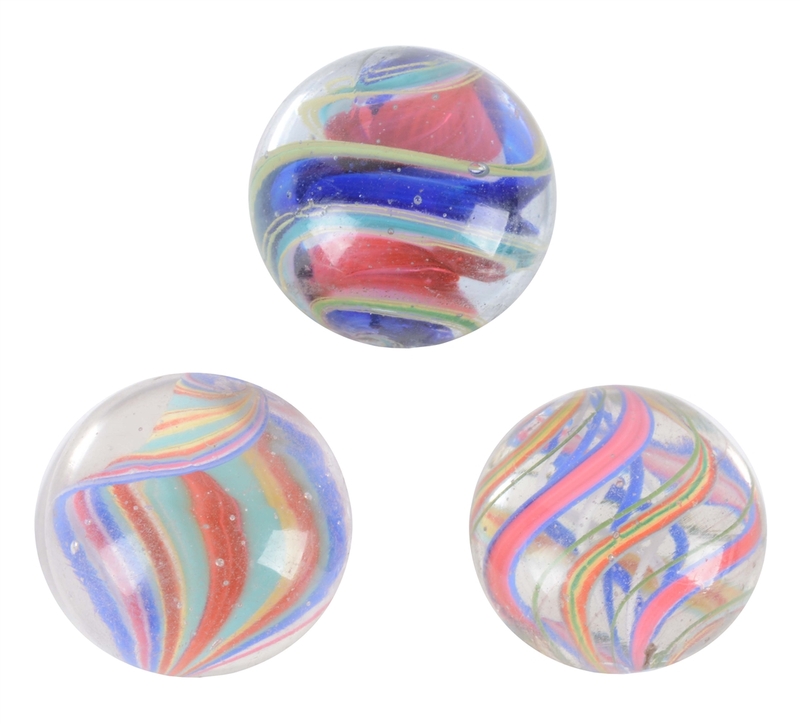 Lot #1: Lot Of 3: Great Swirl Marbles. 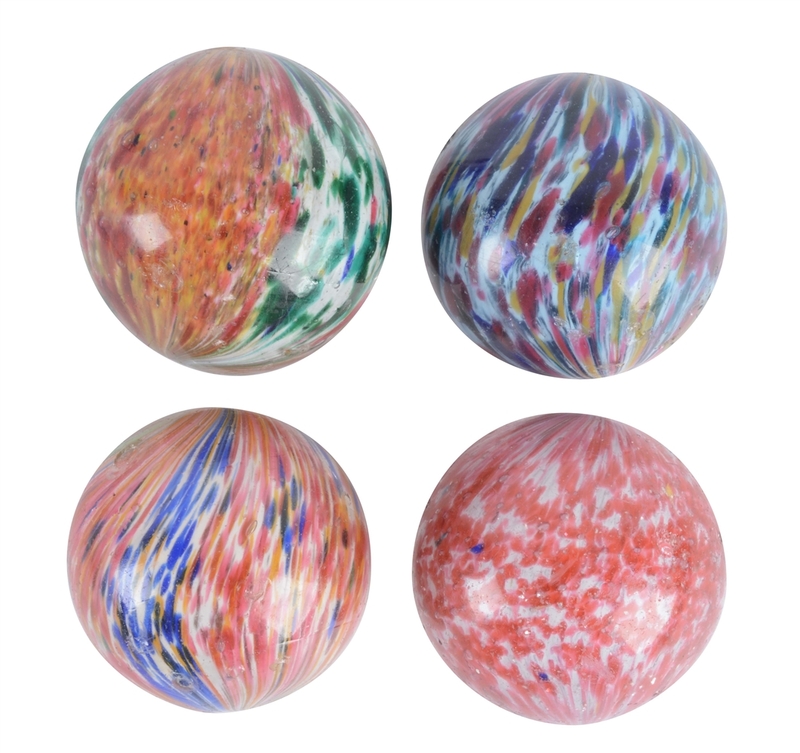 Lot #2: Lot Of 4: Handmade Marbles. 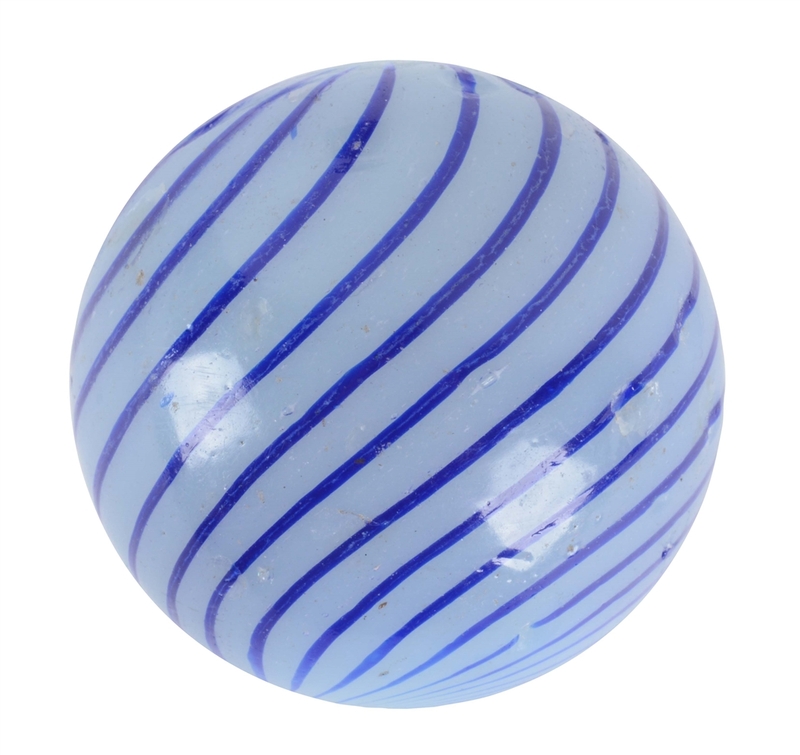 Lot #4: Blue Glass Solid Core Marble. 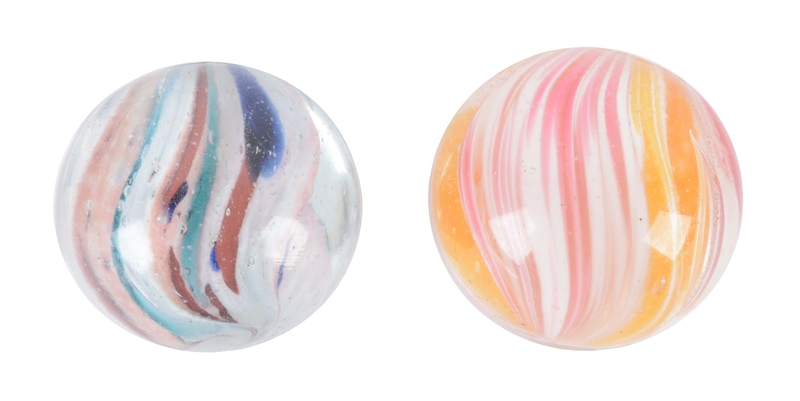 Lot #5: Lot Of 2: Swirl Marbles. 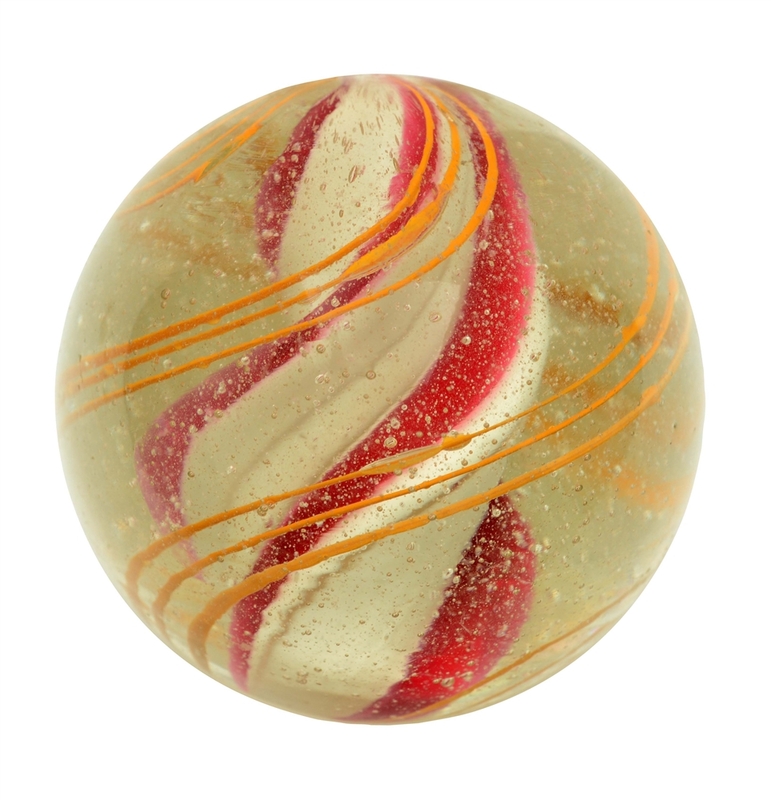 Lot #6: Red & White Solid Core Marble. 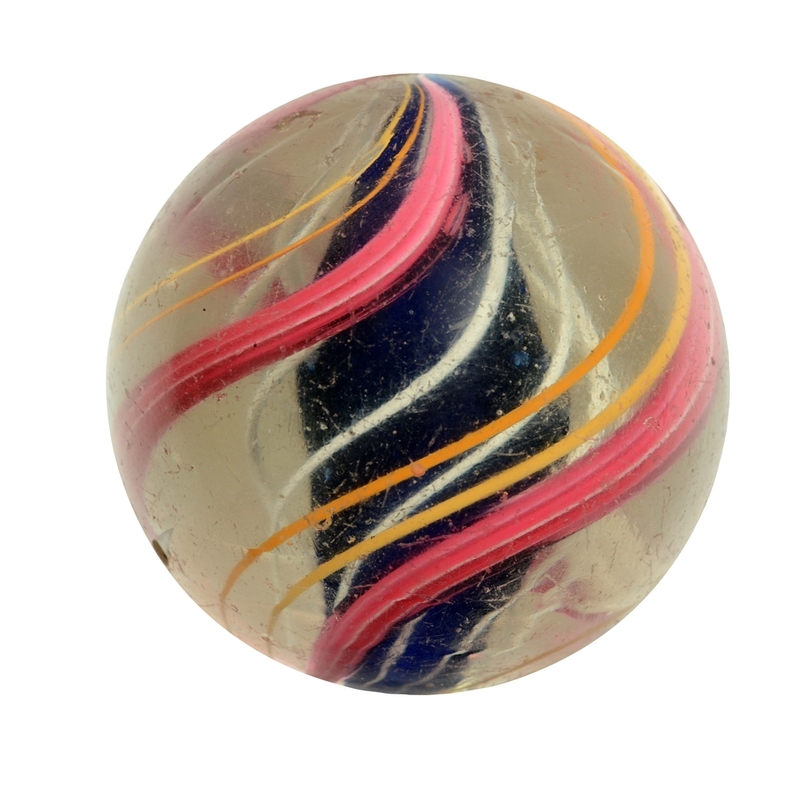 Lot #7: Large Swirl Marble. 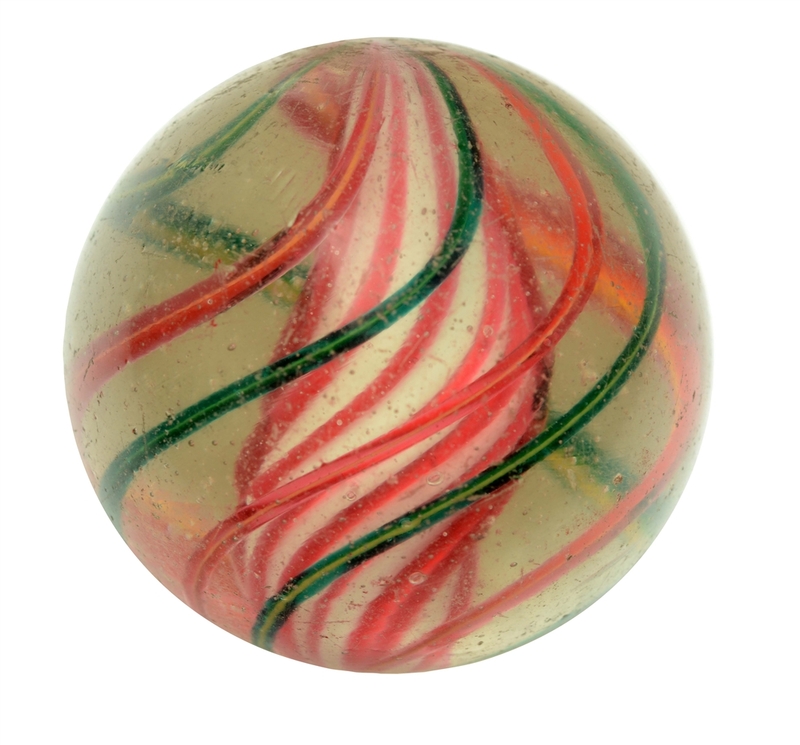 Lot #8: Large Swirl Marble. 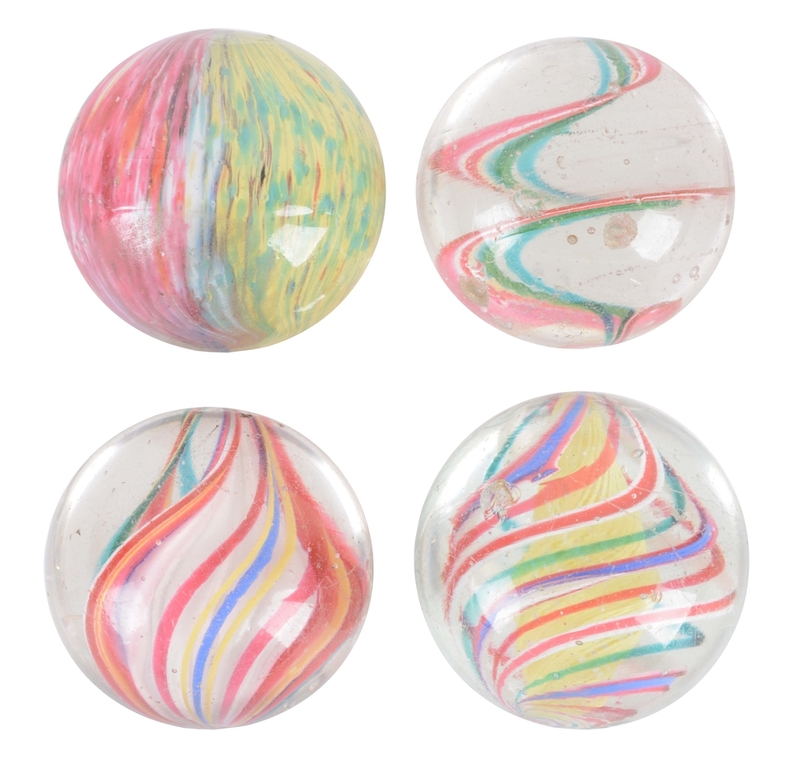 Lot #9: Lot Of 8: Swirl Marbles. 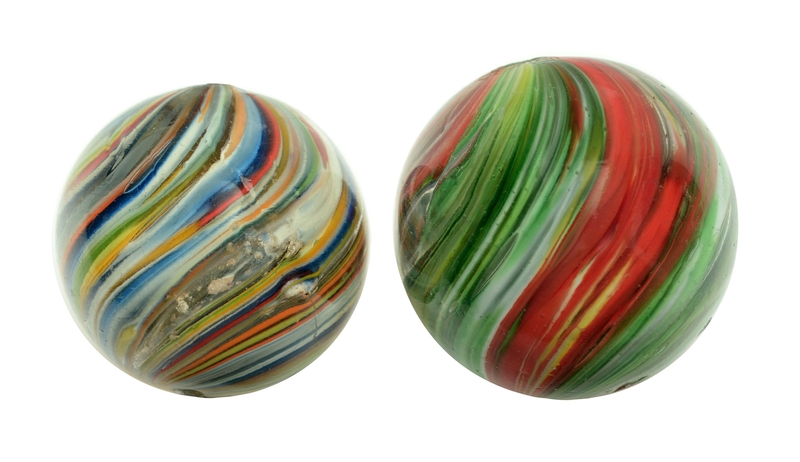 Lot #10: Lot Of 2: Large Swirl Marbles. 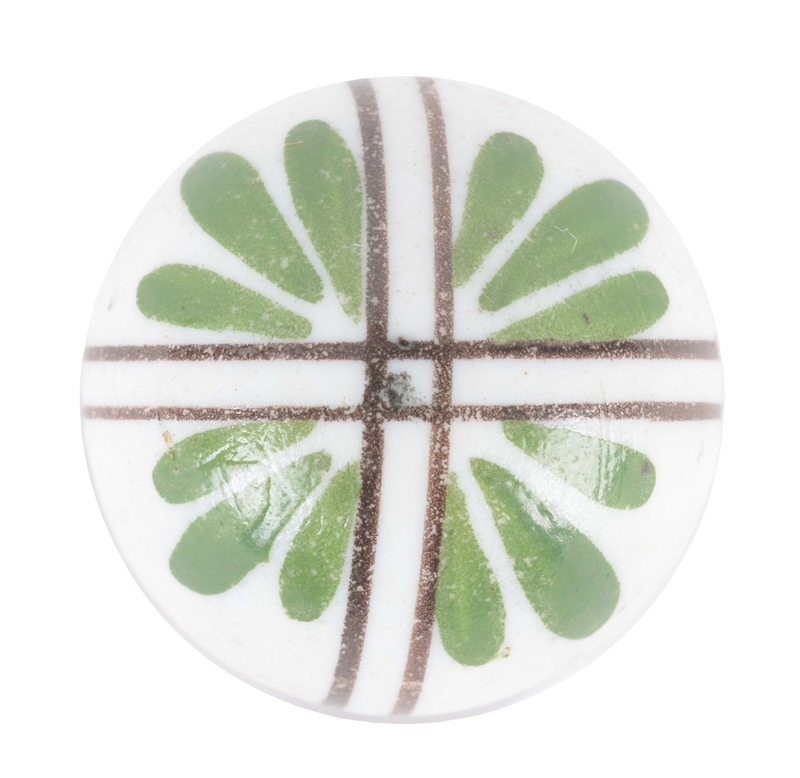 Lot #11: Solid Core Marble with Green Bands. 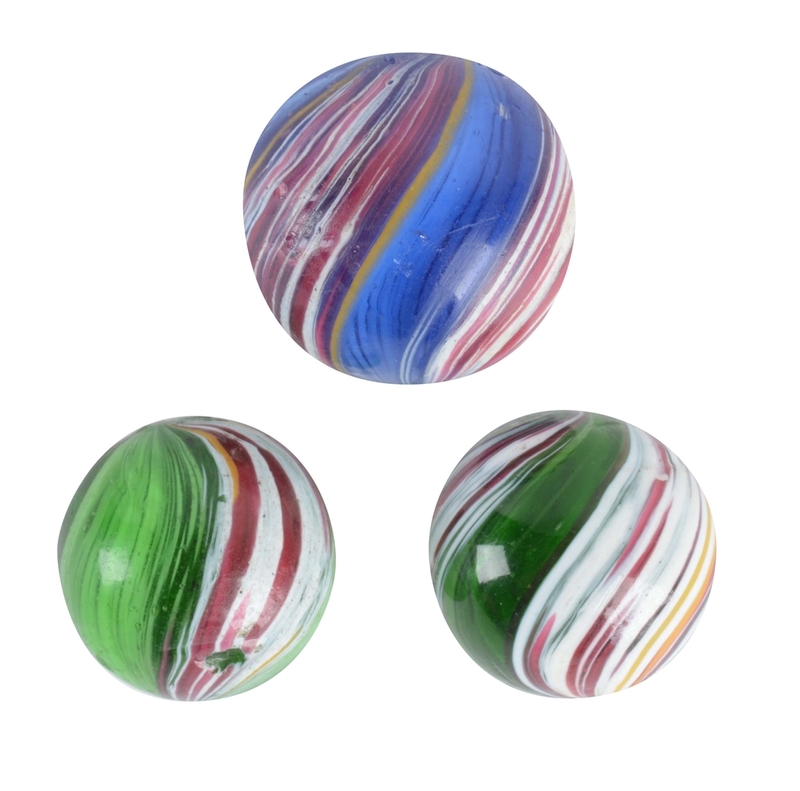 Lot #12: Lot Of 3: Large Swirl Marbles. 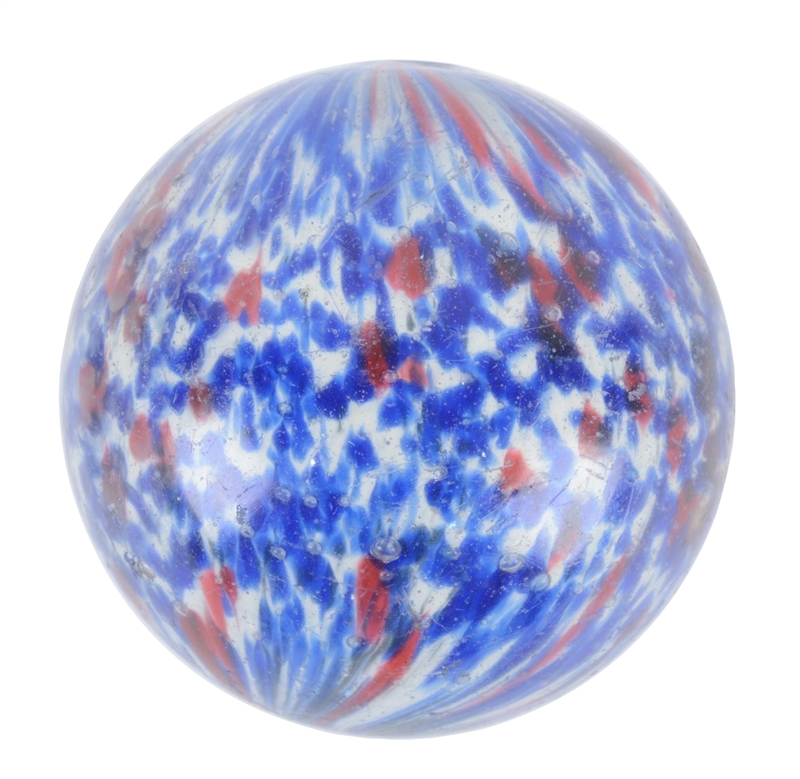 Lot #13: Large Three Stage Swirl Marble. 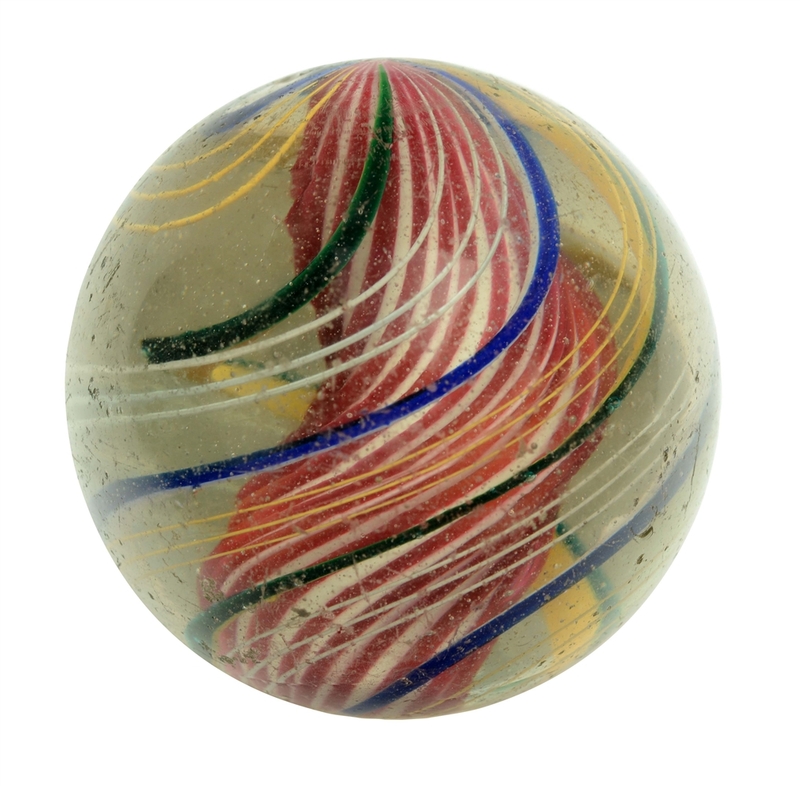 Lot #14: Large Four Stage Swirl Marble. 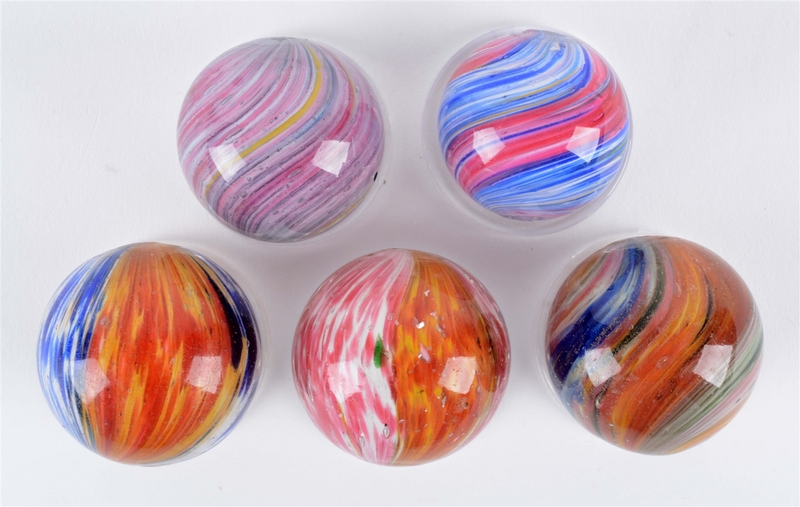 Lot #15: Exceptional China Marble. 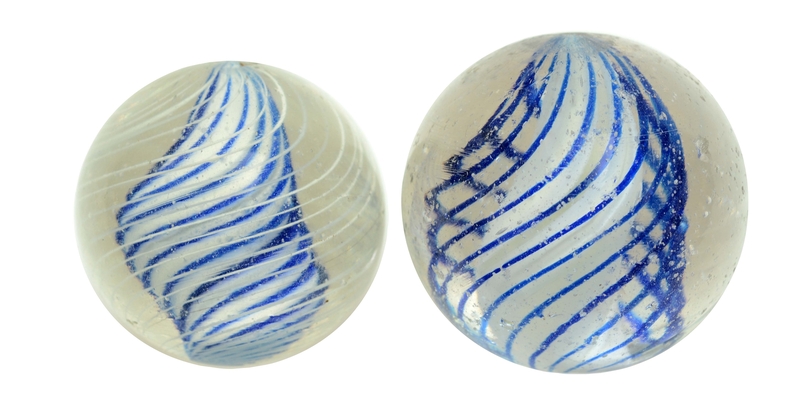 Lot #16: Lot Of 2: Lobed Onionskin Marbles. 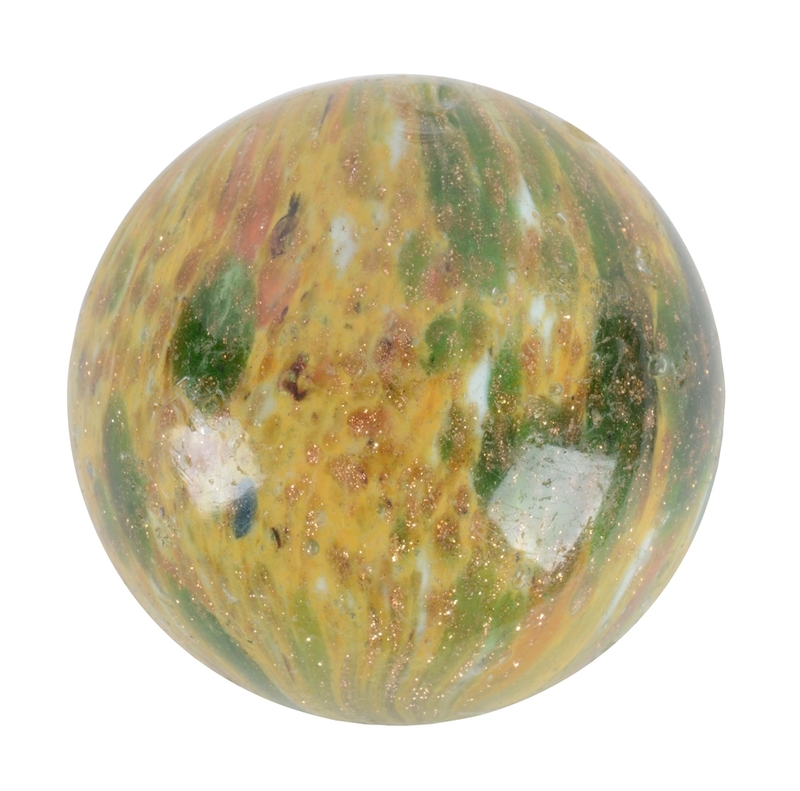 Lot #18: Large Eight Lobed Onionskin with Mica Marble. 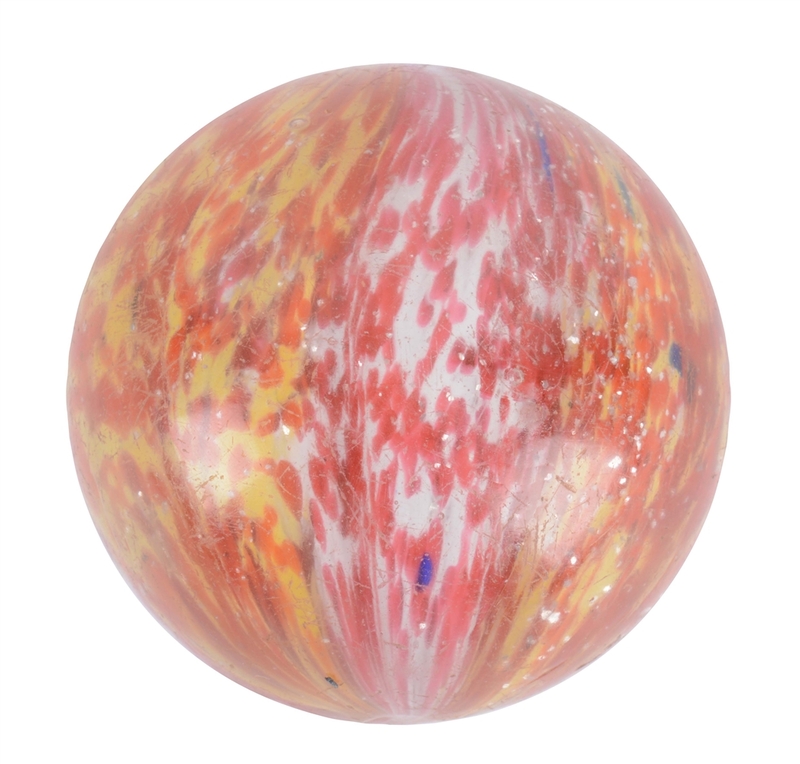 Lot #19: Large Onionskin with Mica Marble. 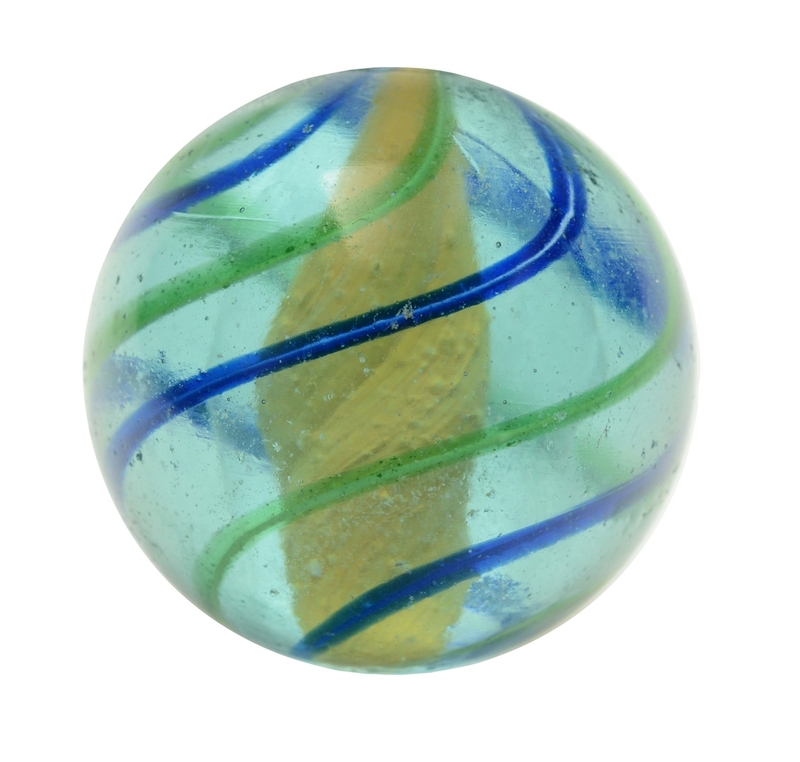 Lot #20: Large Onionskin with Mica Marble. 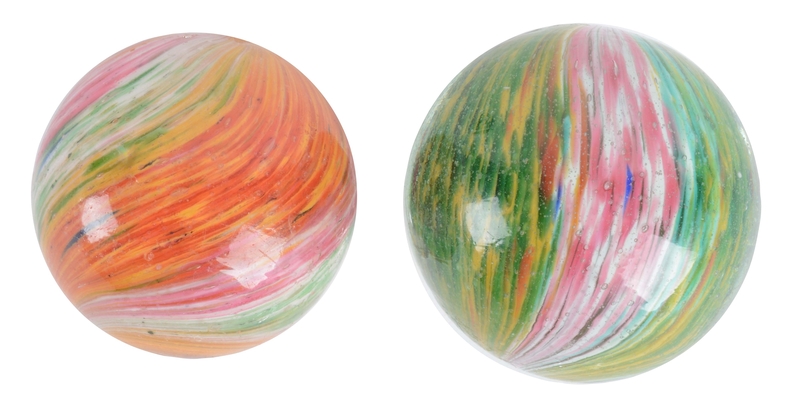 Lot #21: Lot Of 2: Large Onionskin Marbles. 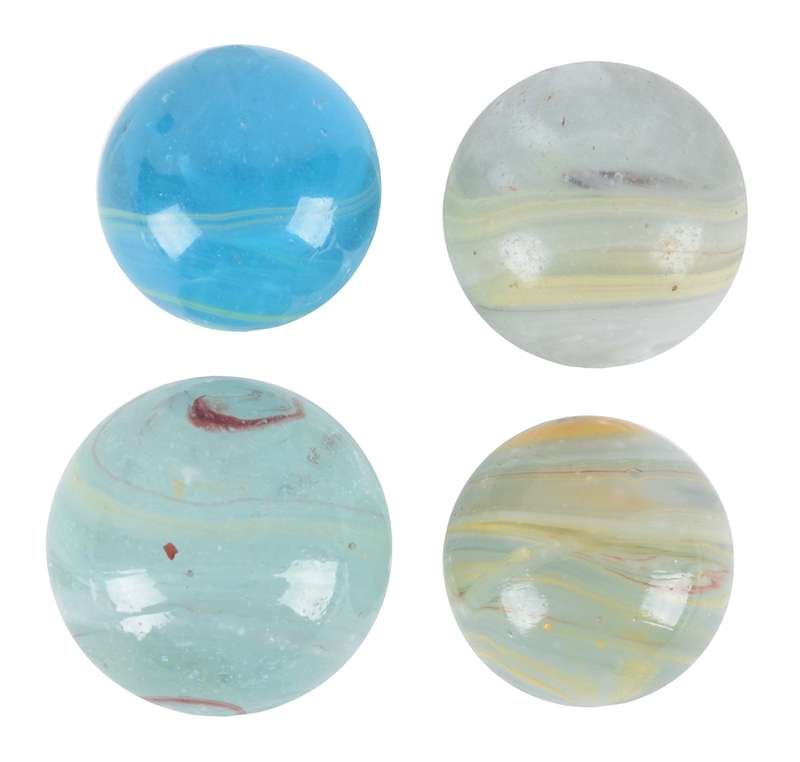 Lot #22: Lot Of 4: Large Onionskin Marbles. 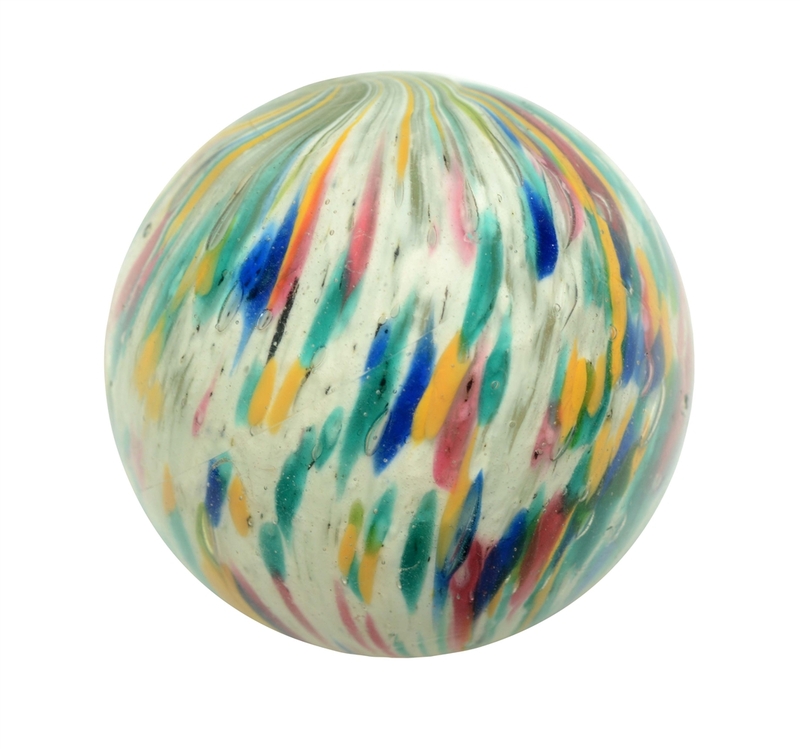 Lot #23: Striking Joseph's Coat Marble. 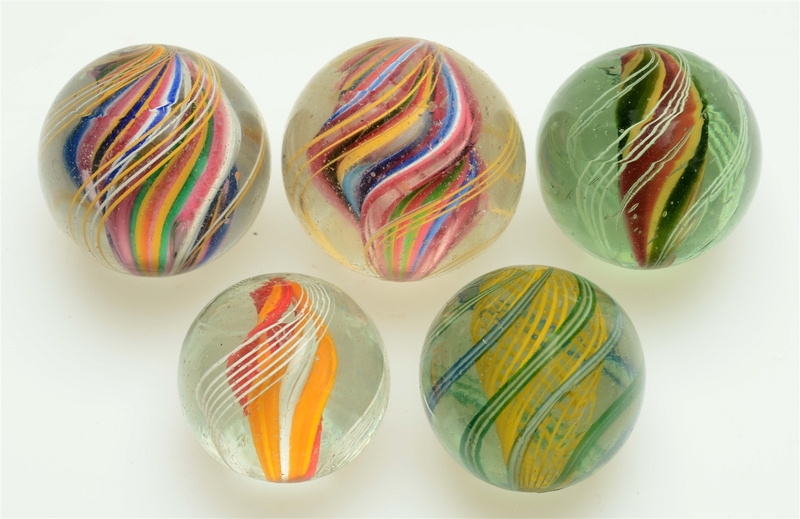 Lot #24: Lot Of 2: Large Joseph's Coat Marbles. 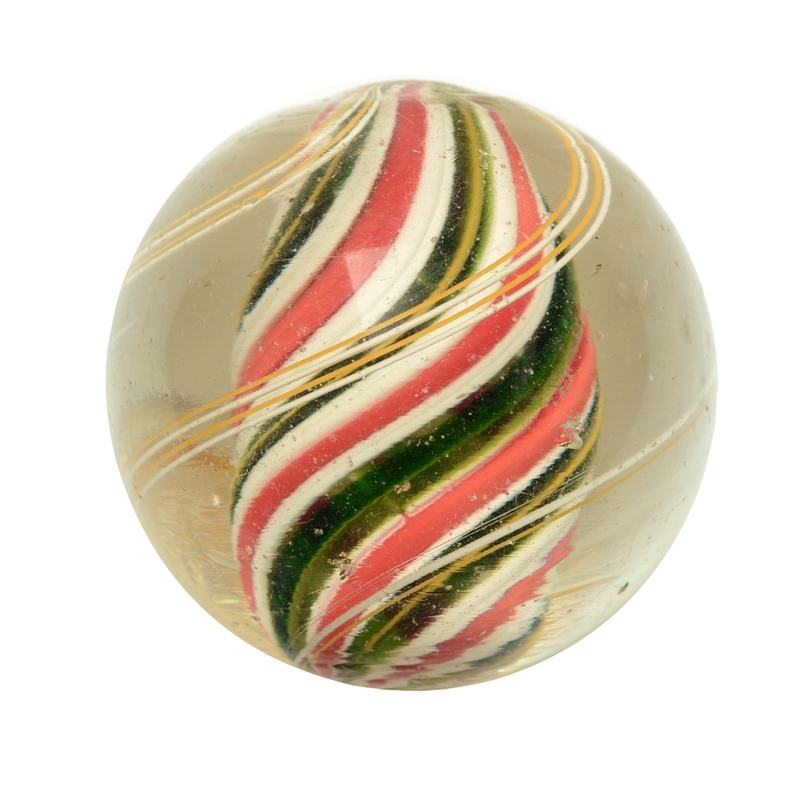 Lot #25: Single Pontil End Of Day Marble. 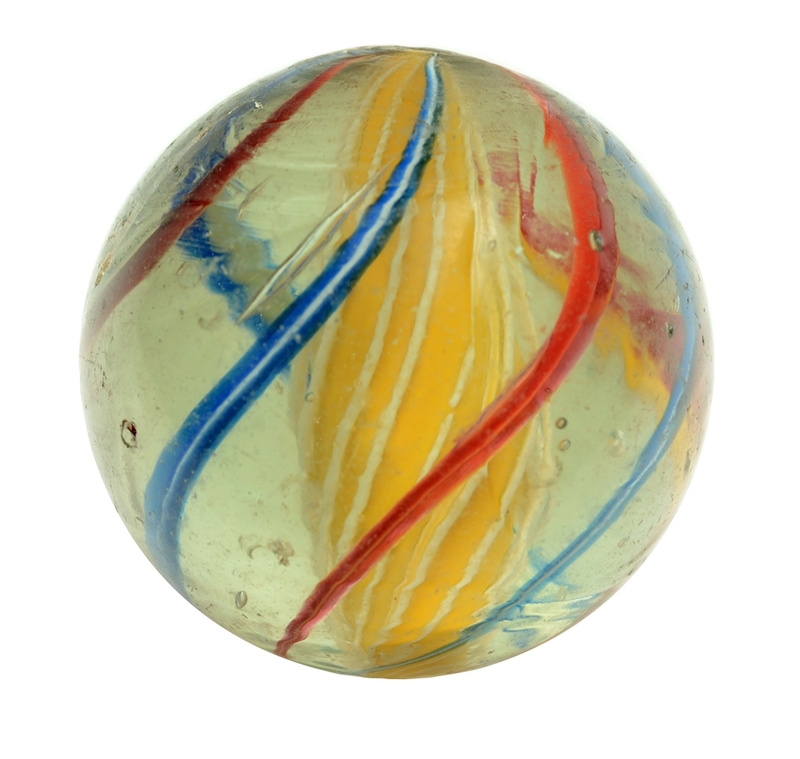 Lot #26: Large Clambroth Marble. 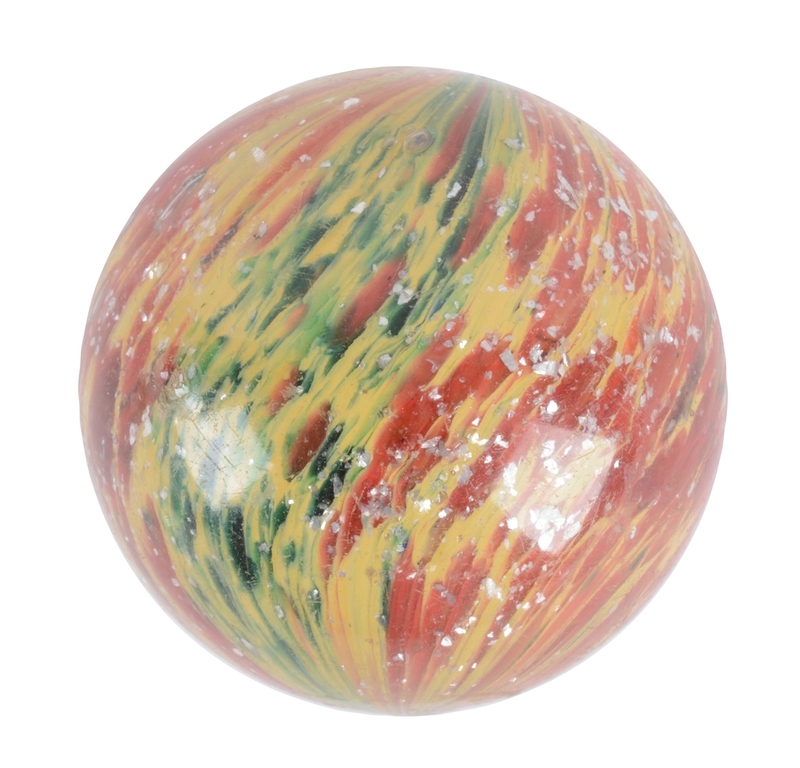 Lot #27: Large Onionskin Lutz Marble. 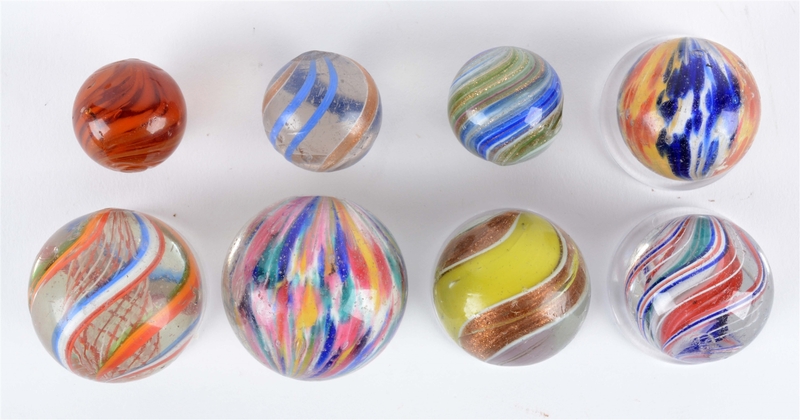 Lot #28: Lot Of 6: Lutz Marbles. 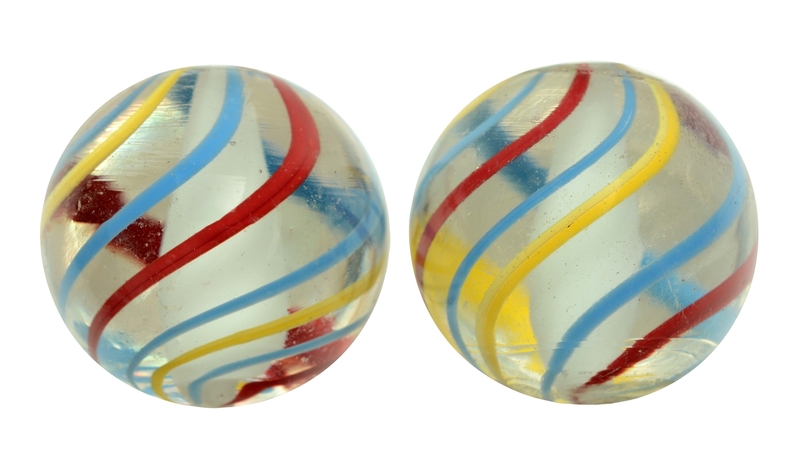 Lot #29: Lot Of 2: Banded Opaque Marbles. 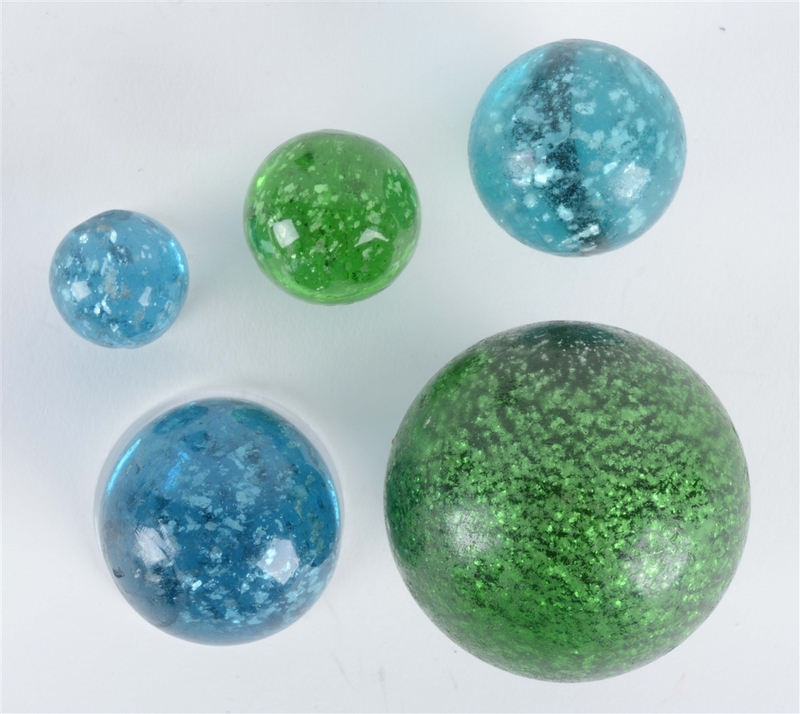 Lot #30: Lot Of 5: Mica Marbles. 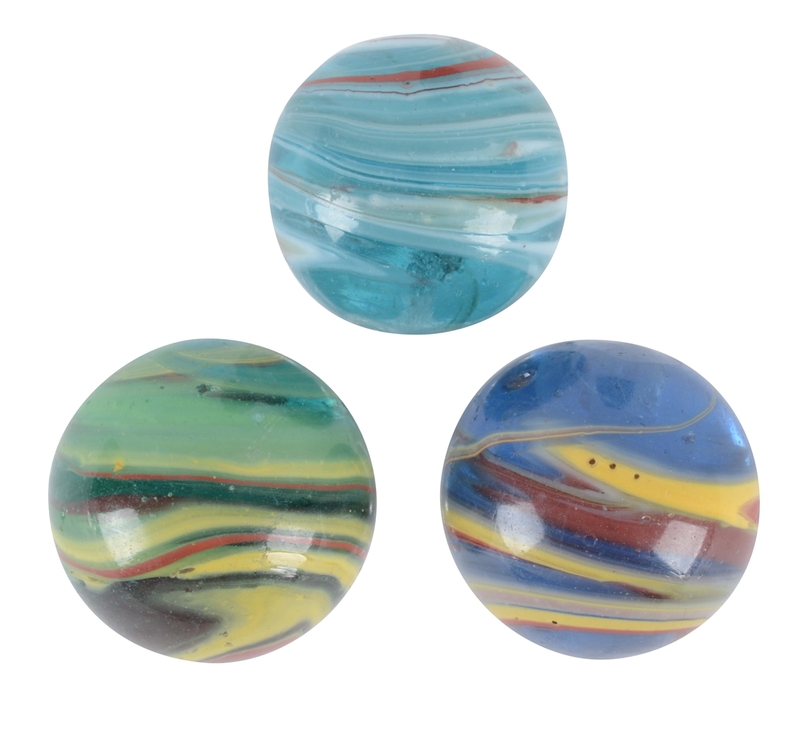 Lot #31: Lot Of 3: Submarine Indian Marbles. 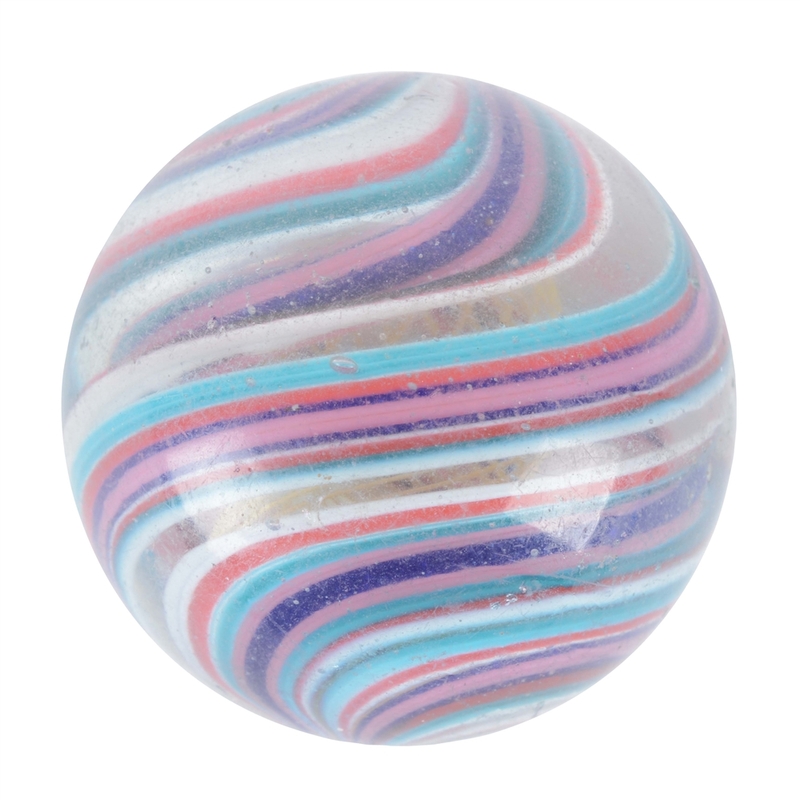 Lot #32: Lot Of 2: Peppermint Swirls with Mica Marbles. 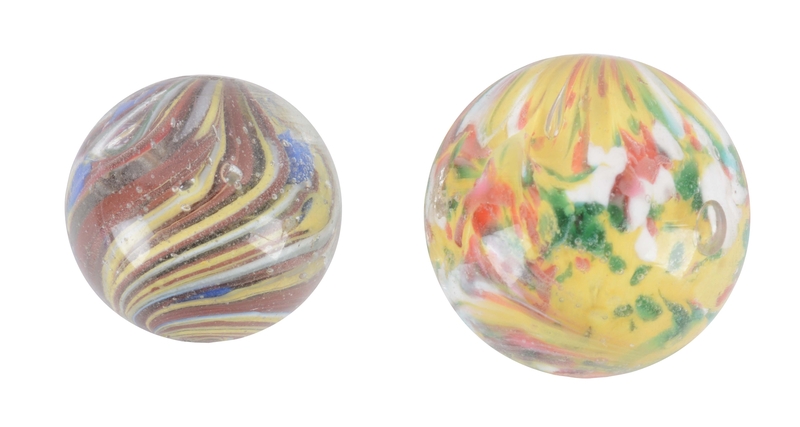 Lot #33: Lot Of 3: Leighton-Style Transitional Marbles. 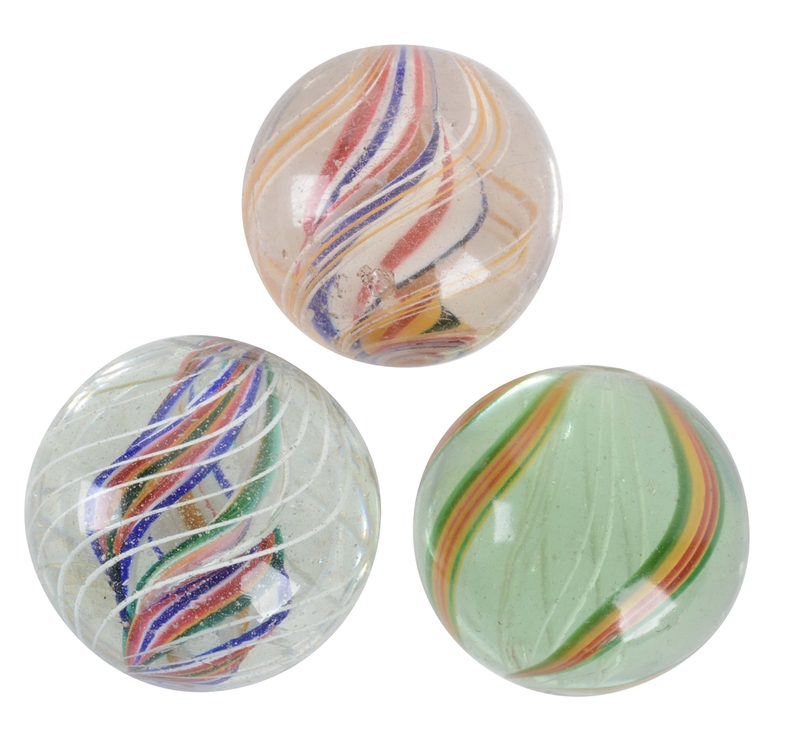 Lot #34: Lot Of 4: Leighton-Style Transitional Marbles. 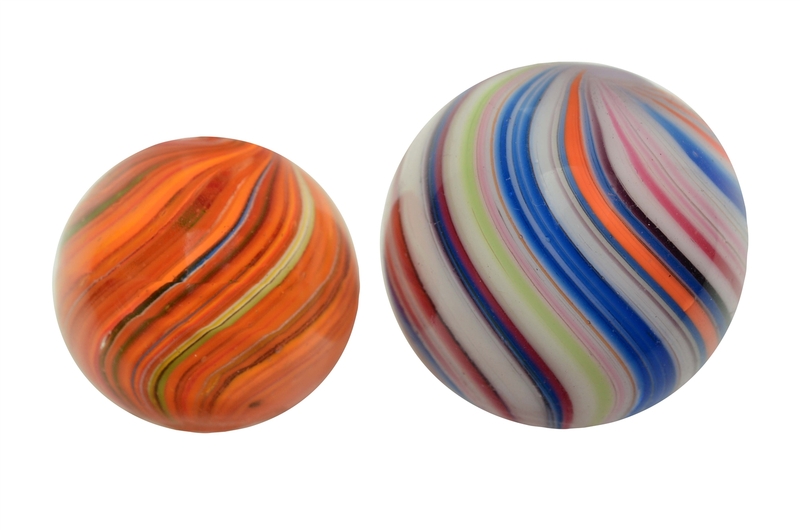 Lot #35: Lot Of 2: Exceptional Handmade Marbles. 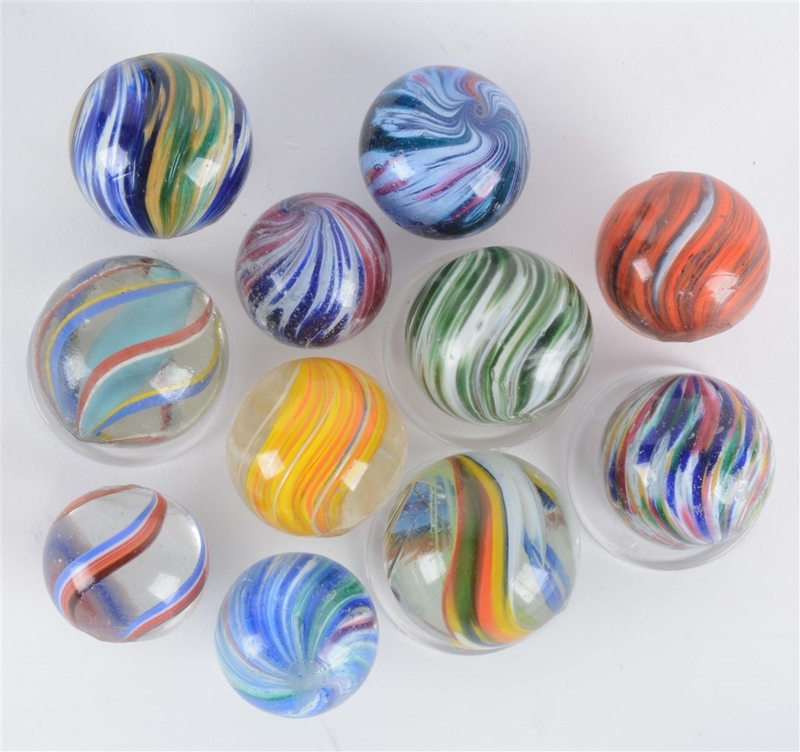 Lot #36: Lot Of 11: Handmade Marbles. 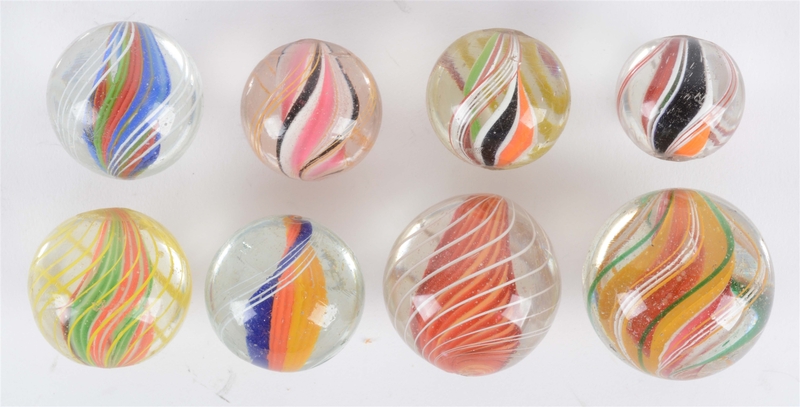 Lot #37: Lot Of 5: Handmade Marbles. 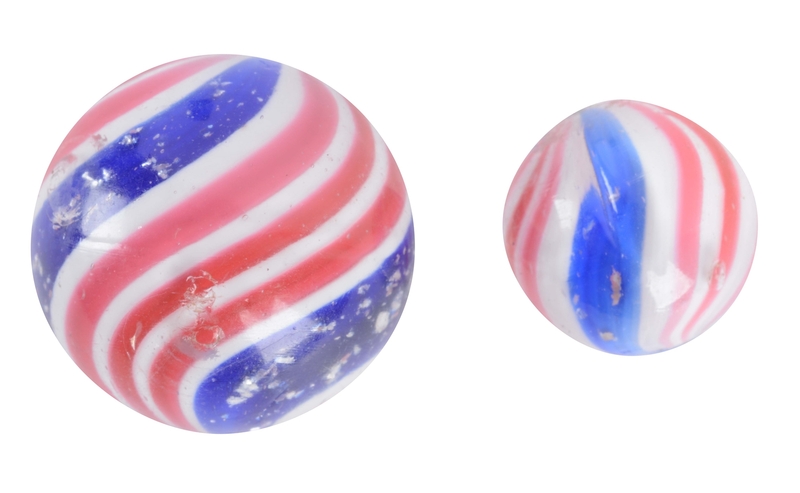 Lot #38: Lot of 2: Same Cane Solid White Core Marbles. 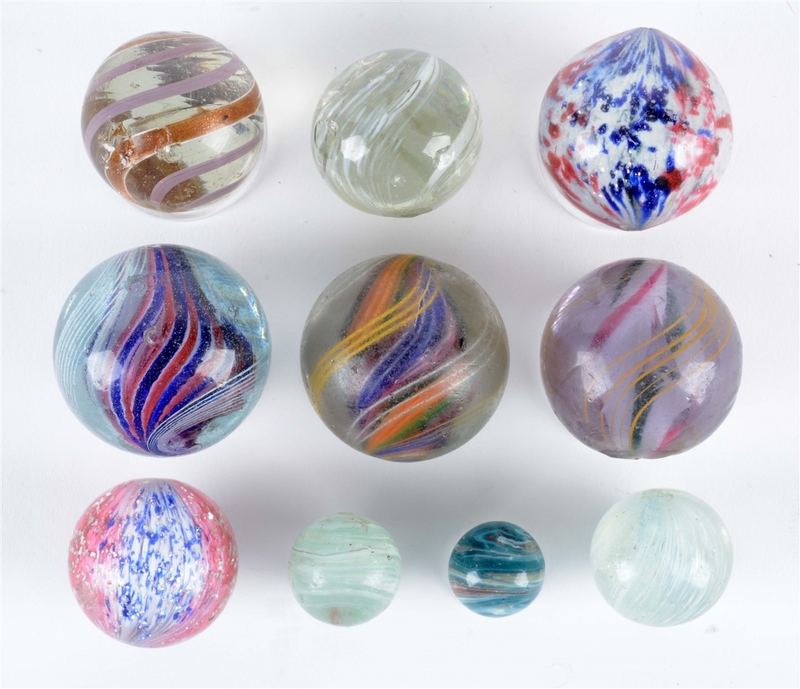 Lot #39: Lot Of 20: Handmade Marbles. 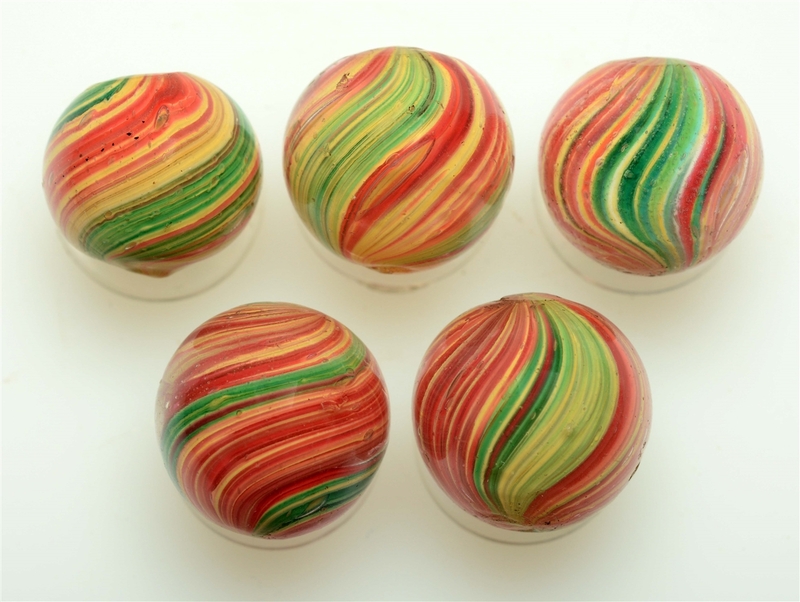 Lot #40: Lot of 5: Same Cane Onionskin Marbles. 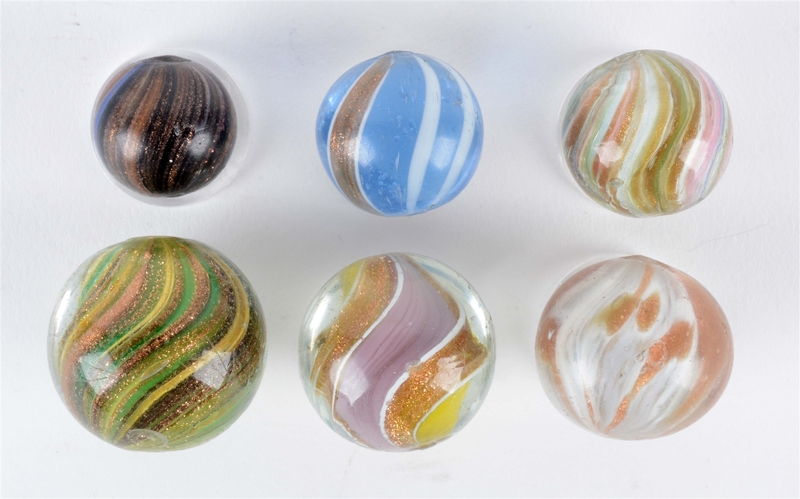 Lot #41: Lot Of 8: Handmade Marbles. 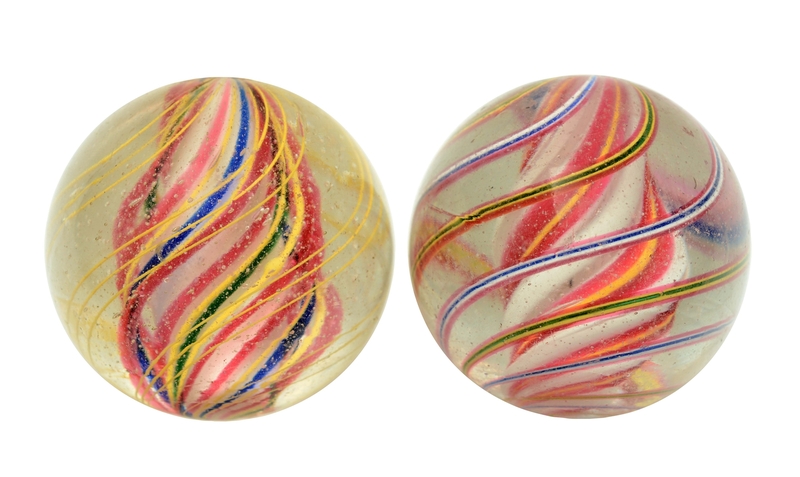 Lot #42: Lot of 2: Left Hand Joseph's Coat Swirl Marbles. 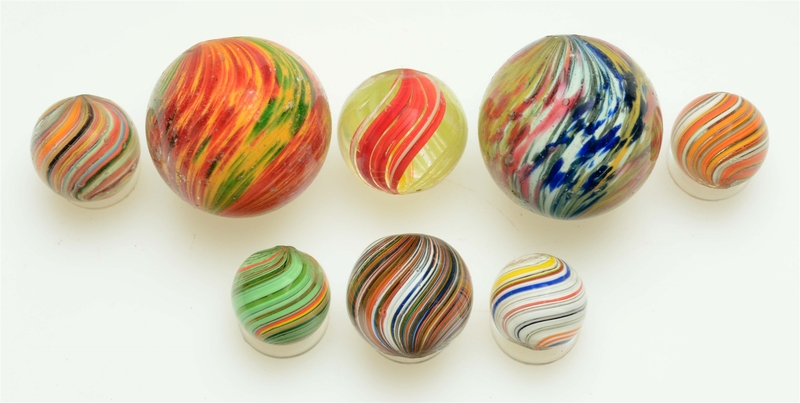 Lot #43: Lot Of 9: Handmade Marbles. 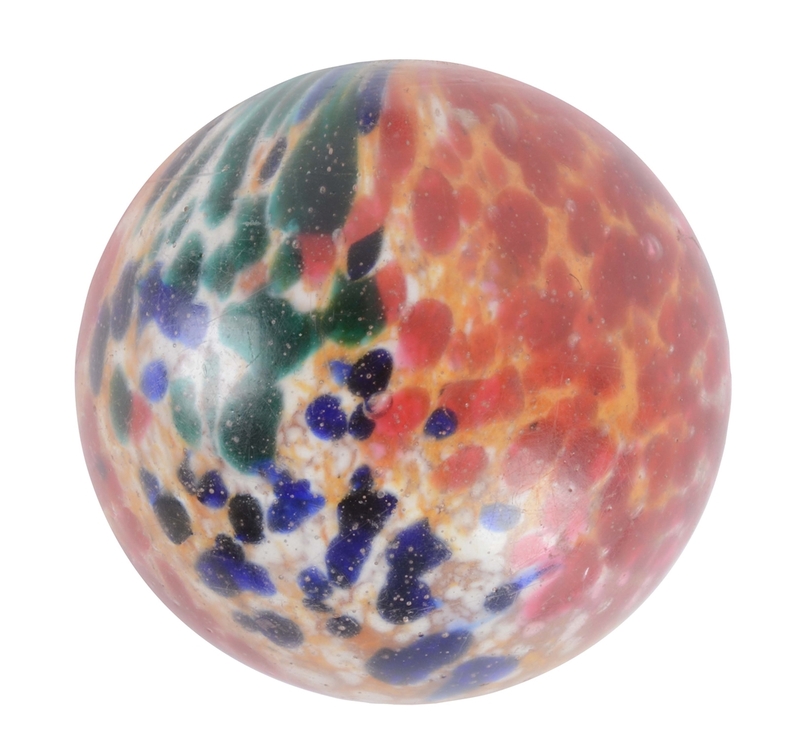 Lot #44: Onionskin Clownlike Marble. 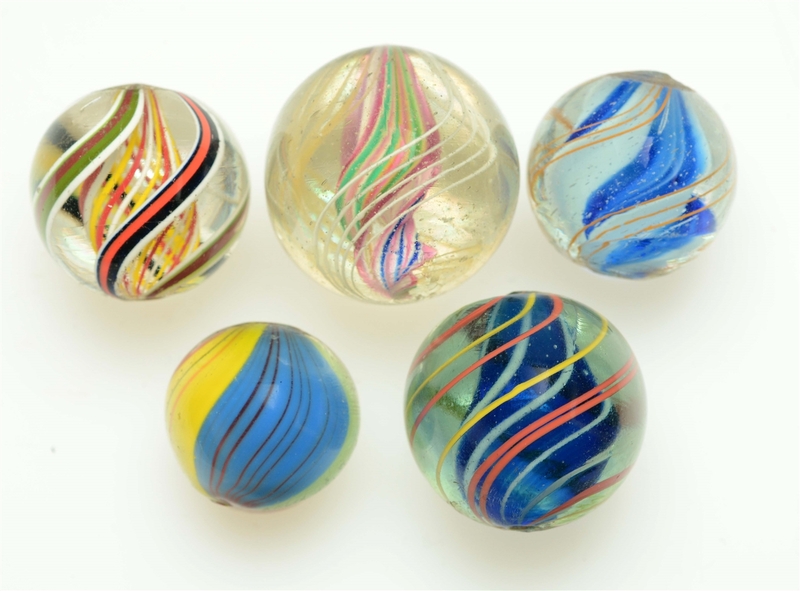 Lot #45: Lot Of 8: Handmade Marbles. 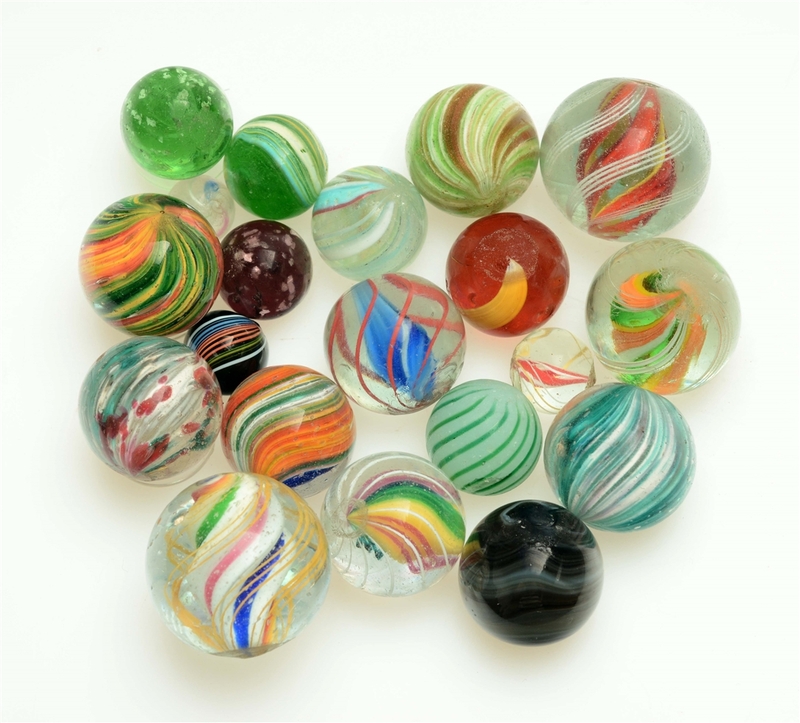 Lot #46: Lot Of 10: Handmade Marbles. 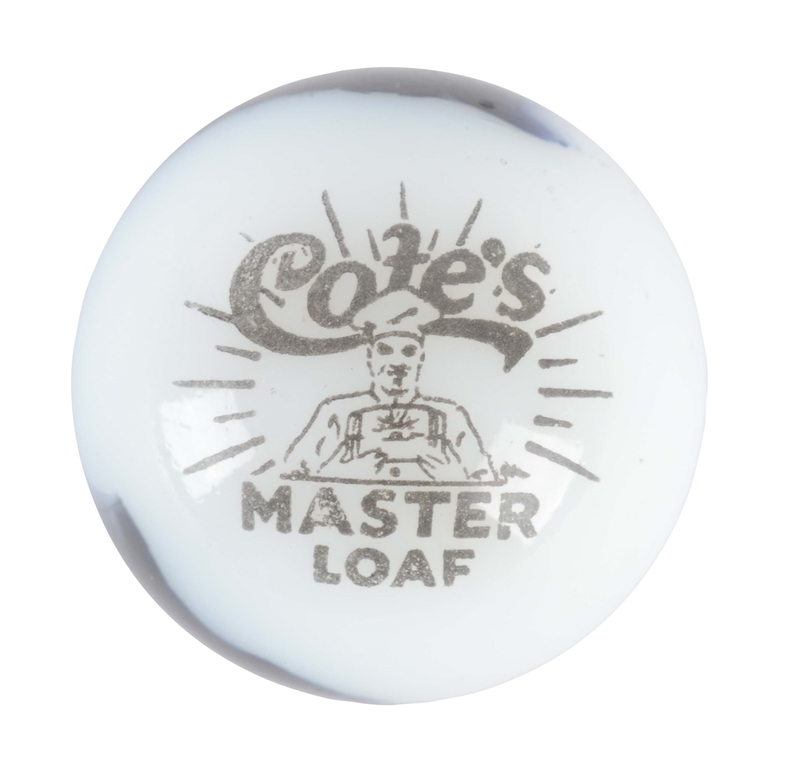 Lot #47: Peltier Cote's Masterloaf Marble. 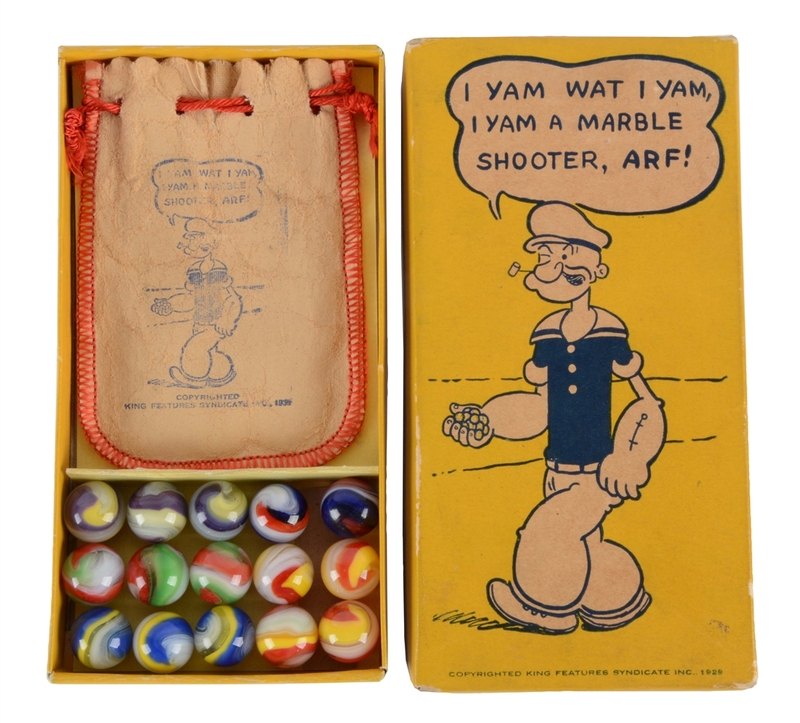 Lot #48: Akro Agate Popeye Box Set in Yellow. 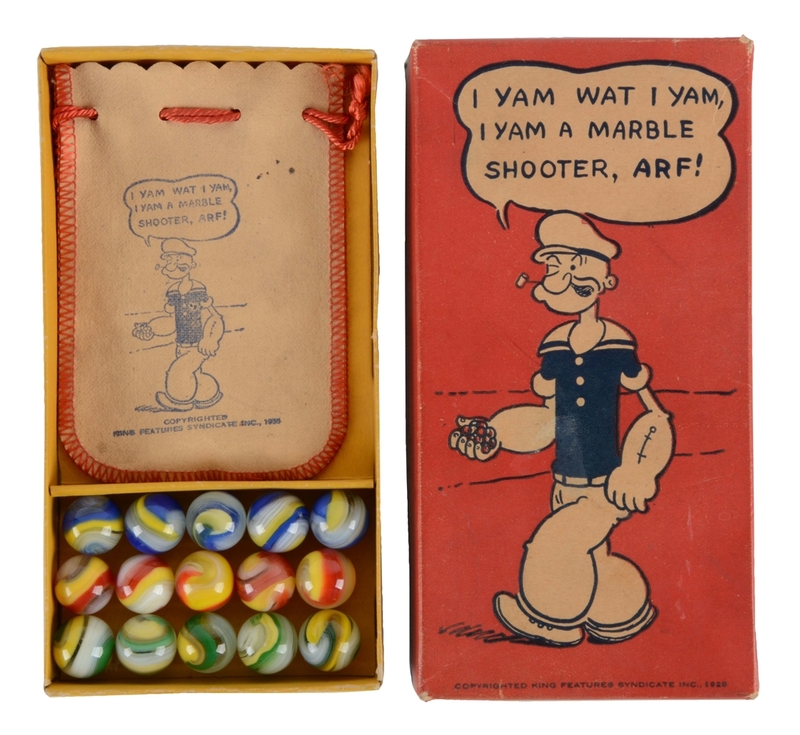 Lot #49: Akro Agate Popeye Box Set In Red. 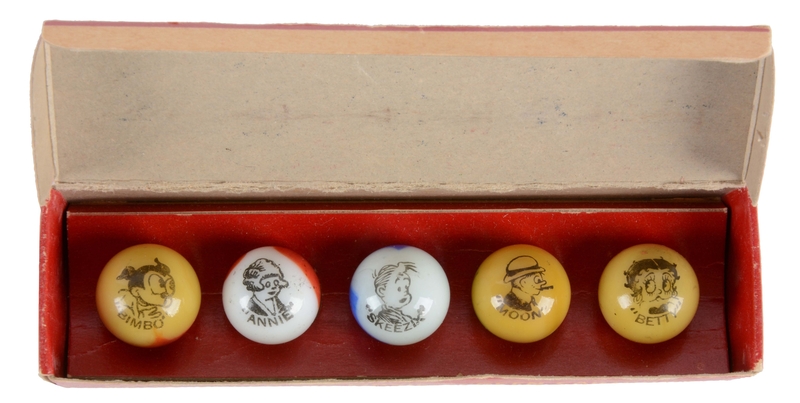 Lot #50: Peltier Five Count Comic Set.